If you are a coffee lover, the importance of having the perfect cup ranks high on your list. 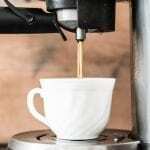 Coffee machines are present in most kitchens nowadays, and something most cannot live without. Gone are the days of buying jars of instant coffee and mixing it into hot water. Now thanks to the Presto MyJo Single Cup Coffee Maker you can enjoy endless cups of quality coffee at home. 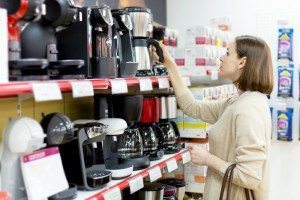 With so many choices of great coffee makers out there, however, it can often be a challenge to find a good quality model that does the trick for you. Luckily, we have sourced a genuine product that is worth your attention. In the following article, we will briefly discuss the benefits of making your own, as well as the difference between capsules and refillable pods. We will also give a product review of one of the best coffee makers currently on the market, the Presto 02835 MyJo Single Cup Coffee Maker to help you to understand exactly what its benefits are and why it may be a good option for you. In previous years, good quality coffee was hard to come by and was really only able to be enjoyed at a cafe, restaurant or in hotels. It was not something that could easily be made, and when instant coffee did become available, they didn’t always offer the same taste you’d expect from restaurants or cafes. Allows you to experiment with different types of flavors to suit your personal taste, from strong black espresso to a cappuccino with frothy milk in the morning. You are completely in control of what you want and will increase your skills at the same time. With this model, there are two ways you can get your fix: K-cups and refillable capsules. Regular capsules are the most common way people make their cup. You do this by adding a capsule into the machine with your favorite flavor. The capsules are a good option as they come in a large variety of flavors and types, which can range from added hints of chocolate hazelnut to vanilla and many others. You can also get dark roast, ground, medium roast and a range of different blends. There are many brands selling capsules with the well-known ones coming from the likes of Keurig, Nespresso, illycaffè and Lavazza. Chains like Starbucks have even jumped on the bandwagon and introduced their own variety of coffee pods. Refillable capsules, on the other hand, are those which you buy and can fill with your own ground coffee. This option is perhaps better on the environment as regular capsules take longer to disintegrate and are therefore harmful. Refillable capsules can be used more than once and so will definitely last you longer. 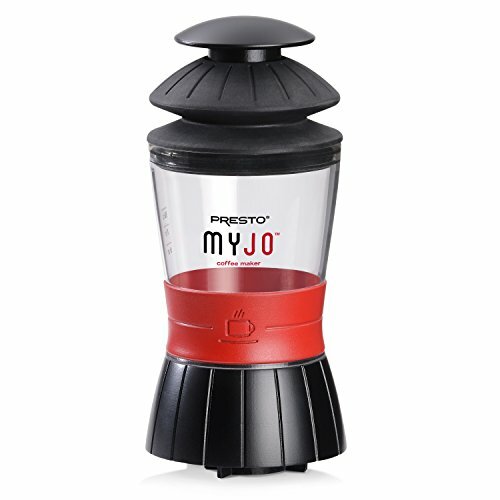 With K-cups and capsules in mind, we have found one of the best on the market, the Presto MyJo. This product will be discussed below, including its pros, cons and a little on its key features. If you are on the lookout for a new model which is high quality yet still affordable, then this product definitely ticks all boxes. 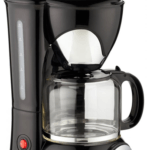 Enjoy the convenience of a single serve machine with the Presto MyJo single cup coffee maker. Thanks to its convenient easy to use design, this brewer doesn’t need to be plugged in. Because it is portable, you can make a cup wherever you are! Whether in the office or out on a camping trip, you will never be without a nice cup of Joe. The MyJo sometimes doesn’t sit well on some types of smaller cups. If you are looking for a model which will serve you a tasty cup of joe in no time, then the Presto MyJo single cup coffee maker will do the trick. Unlike regular machines, this one can be used without electricity, and can easily be used when out and about. Simply fill it with hot water and fit it on your coffee mug and you are read. One of the best features of this product is the fact it is portable. Its compact and portable design lets you take it anywhere. Its perfect for home use, work, school, travel and even camping trips in the wild – allowing you to make the perfect cup no matter where you are. It is small enough to fit in your backpack, so you can make a single cup of coffee without the high cost of big brewing machines. All you need is some hot water and you are good to go. The great thing about the Presto MyJo is that it takes a variety of capsules, whether its tea, hot cocoa or any other capsule beverage. You can also use your refillable capsules to make your favorite ground coffee. 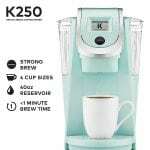 The presto coffee maker uses single serve packs, and one K-Cup capsule produces one cup, meaning it provides a single serving each time. It brews 6, 8 or 10-ounce servings. One of the preferred benefits of the Presto MyJo single cup coffee maker is its overall ease of use. Simply unscrew the base and fill the water reservoir with hot water from your tea kettle, or remove it and place it in the microwave to heat it up. Whilst the water is heating up you can pop in your favorite k cup, capsule, or use the reusable MyJo cup filled with your own fresh ground coffee. 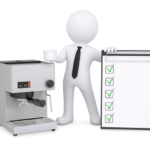 When the water is ready, attach the water section to the base, and place assembled coffee maker on top of your coffee cup. Once the lid is secure you can begin pumping the lid downwards, applying a little pressure. The more pressure you apply, the darker and more concentrated your coffee will be. Basically it will drip exactly as an espresso machine does. Cleaning it is really simple, all you need to do is pop out the finished capsule and clean the base with water. The reservoir must also always be kept clean as when dirty it can affect the final taste of the coffee. So why do we believe the Presto is worth buying? Unlike many machines which usually cost well over $100, this one delivers, at a fairly reasonable price. There are so many positive reviews for the MyJo, clearly something is working nicely for the majority of people. It is also highly rated for its portability as it can be used outside of the home which makes it multi-functional. Therefore if this isn’t enough to prove the Presto MyJo is a worthwhile and genuine product, you will have to try it for yourself. When it comes to the current models, it can be quite difficult to find one which is truly convenient and at the same times provides a quality tasting java. Freshness is also key when it comes to flavor, and with a single cup coffee maker, you have more guarantee of having a fresh cup in comparison to your average machine. Why? Because your beverage won’t be sitting in a pot on a burner for hours before it is poured into your cup. The Presto MyJo has proven to be extremely popular with many people thanks to its ease of use, portability and price. 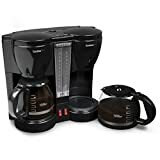 Hamilton Beach Single Serve Scoop Coffee maker doesn’t need pre-packaged K-Cup packs or coffee pods. Instead, it comes with a mesh scoop filter that lets you choose any flavor (caramel, hazelnut, vanilla, etc). Or even any brand (Starbucks, Dunkin Donuts, etc. ), as well as any strength (Regular or Bold) to please your taste. You simply fill a scoop and pour it into the conveniently provided mesh filter, add water and hit the start button to make your favorite drink. Presto certainly knows what they are doing with this coffee maker and have proven it time and time again. Therefore, if you are looking to improve your coffee game or even try a single cup machine for the first time, then the Presto MyJo single cup coffee maker is definitely worth giving a shot.